In New York City, a homeless man with amnesia must unravel his past while a serial killer stalks the streets, in this taut thriller from the author of the Mongo Mysteries. When he wakes up he remembers nothing, not even his own name. 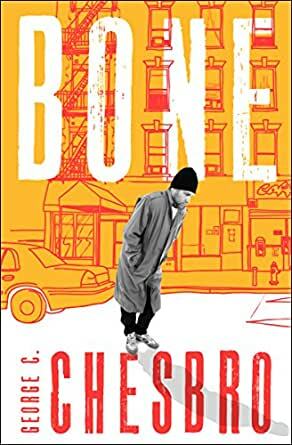 He doesn’t know why he’s squatting in Central Park or why he carries the human femur that earned him the nickname “Bone.” He has no idea what he’s done over the past year wandering the streets of Manhattan—or what came before. Det. Lt. Perry Lightning suspects that Bone is the serial killer who’s been brutalizing the city’s homeless population. He also suspects Bone is playing games, pretending to have no knowledge of his life or his actions. But despite what the detective thinks, Bone doesn’t remember committing those horrific crimes. With the help of a social worker named Anne and a street performer named Zulu, Bone attempts to discover the truth. But his pursuit of the past is about to take them deep into New York’s underground . . . where untold horrors await. This book has stayed in my mind for almost 30 years, when I first read it. I am thrilled to find it now for my kindle; am excited about reading again. As with many of my novels, the notion for Bone was borne of a sense of outrage - - this time over the sorry state of affairs in a country as wealthy as the United States where so many impoverished, mentally ill people are forced to live on the streets. I had my setting; being a mystery writer, I naturally had to have a mystery, as well as a corpse or two. I did more research on this novel, on amnesia as well as the milieu of the homeless in New York City, than for any other. The opening scene came to me almost at once, but the rest came very gradually; I was halfway through the first draft before I even discovered where Bone came from, and what he did. 5.0 out of 5 starsMost excellent book. George should re-release this one!!!! I am surprised this hasn't been made into a movie. Maybe George was ahead of his time. But this book makes you think, had me on the edge of my seat. This is a great book for anyone. I highly suggest this to anyone who can read. I wish I were a movie director, I would do this and it would be a great movie. One to ponder over after the movie is through.